1.1 What is liver cancer? Liver cancer is a disease characterized by abnormal growth of liver cells that produce a cancerous tumor. Hepatocellular Carcinoma (malignant hepatoma) is a type of cancer that develops in the liver itself. It is the most common liver cancer and constitutes 80 to 90% of all cases of liver cancer. Metastatic cancer is a cancer that originates elsewhere in the body and enters this organ. Hepatoblastoma: A type of childhood cancer. Hepatitis: This is the factor that causes most liver cancers. For example, 10 to 20% of patients with hepatitis B develop liver cancer. Cirrhosis: it is the second factor. 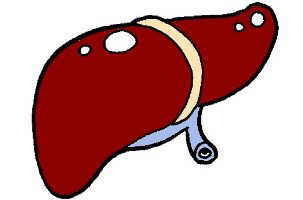 5 to 10% of patients with cirrhosis develop into liver cancer. Hemochromatosis: This is another disease that can lead to liver cancer. Some products are toxic to the liver; they have carcinogenic properties, ie may cause the development of liver cancer. Among the best known are toxic chemicals like arsenic, mercury, lead, copper, phosphorus, selenium, pesticides, insecticides and certain vegetables. Aflatoxins are carcinogenic toxins that develop on certain foods, especially in nuts and dried fruits. However, fortunately, many of these symptoms may be caused by other benign pathologies. For the diagnosis of the disease, apart from a physical examination, a blood test is required. Subsequently, to determine the existence of a tumor in the liver with certainty, some other medical tests may be required, including x-rays, MRIs, scanogram, etc. The final confirmation is given by a biopsy, which involves removing a small sample of liver tissue and its subsequent examination under a microscope. More information on liver cancer.